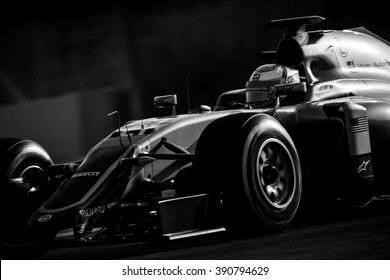 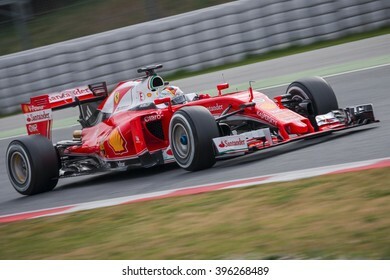 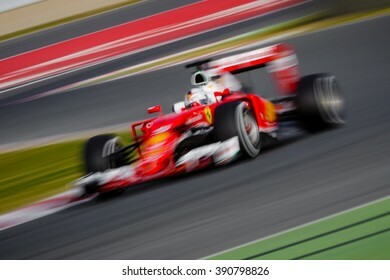 Photography enthusiast interested in Formula One lately, bringing pictures mostly from locations which hosts F1 events that I visited. 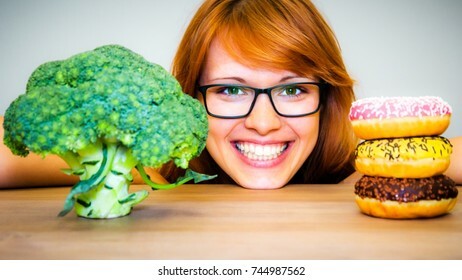 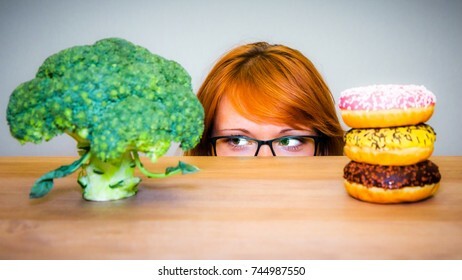 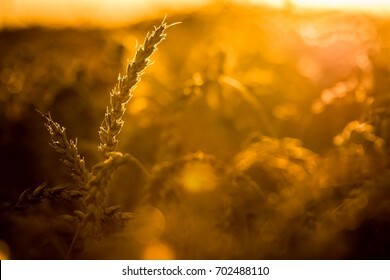 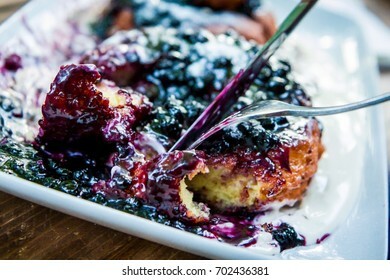 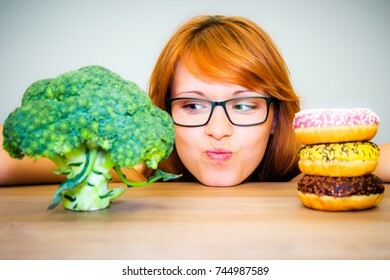 2,319 stock photos, vectors, and illustrations are available royalty-free. DRAZOVICE - JUNE 25: Bottle of Tanqueray gin and gin & tonic cocktail on June 25, 2016 in Drazovice, Czech Republic. 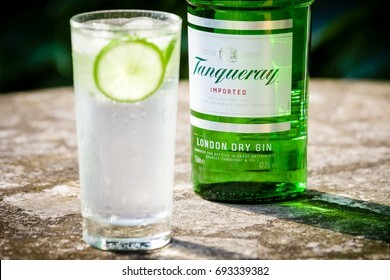 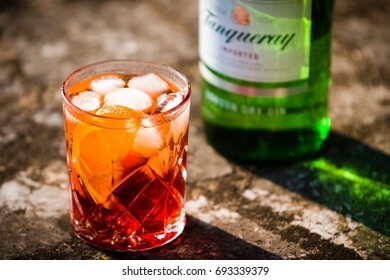 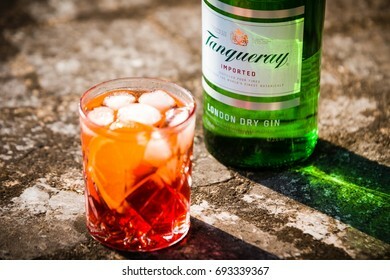 Tanqueray is a brand of gin produced by Diageo plc. 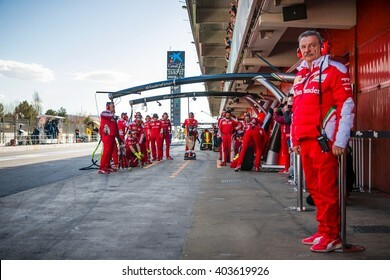 BARCELONA - MARCH 3: Mechanics of Ferrari F1 Team prepared for pit stop at Formula One Test Days at Catalunya circuit on March 3, 2016 in Barcelona, Spain. 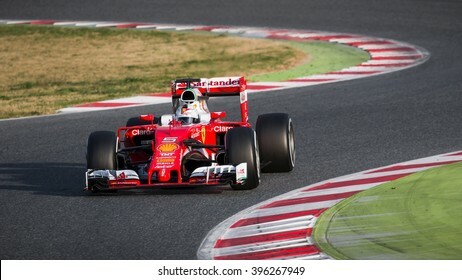 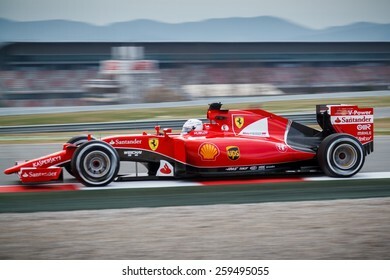 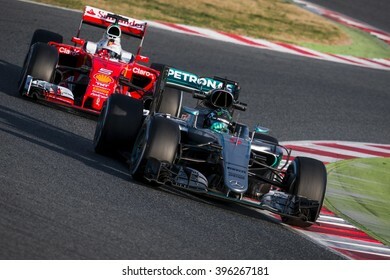 BARCELONA - FEBRUARY 23: Sebastian Vettel of Scuderia Ferrari F1 Team leads Nico Rosberg of Mercedes AMG F1 Team at Formula One Test Days at Catalunya circuit on February 23, 2016 in Barcelona, Spain. 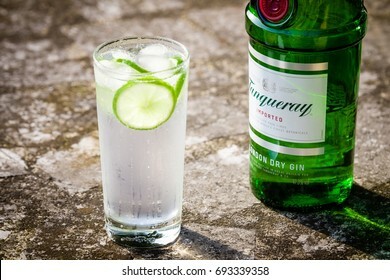 DRAZOVICE - JUNE 25: Gin & Tonic cocktail in highball glass and a bottle of gin on June 25, 2016 in Drazovice, Czech Republic. 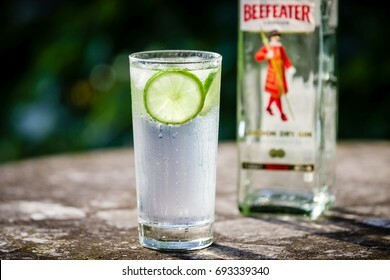 It was introduced by the army of the British East India Company in India. 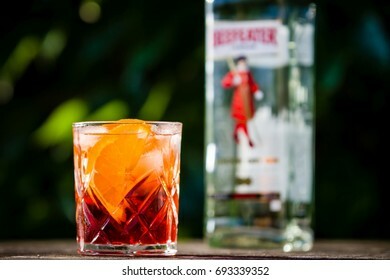 DRAZOVICE - JUNE 24: Negroni cocktail in crystal cut glass and a bottle of gin on June 24, 2016 in Drazovice, Czech Republic. 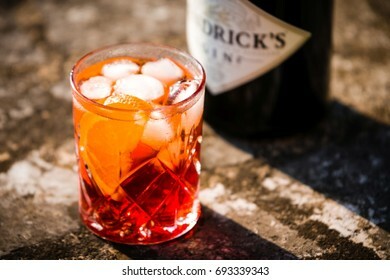 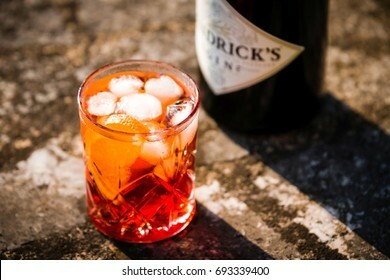 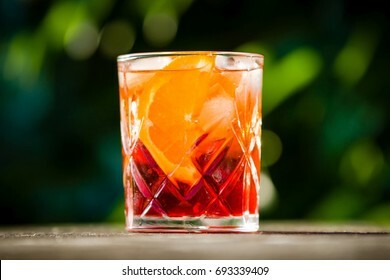 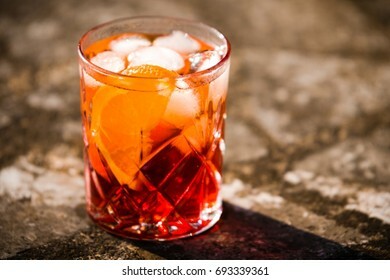 The cocktail is made of gin, sweet vermouth, and Campari. 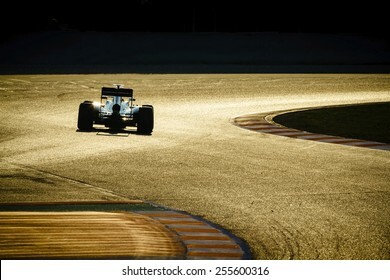 SANT SADURNI - FEBRUARY 29: Entrance to Freixenet headquarters on February 29, 2016 in Sant Sadurni, Spain. 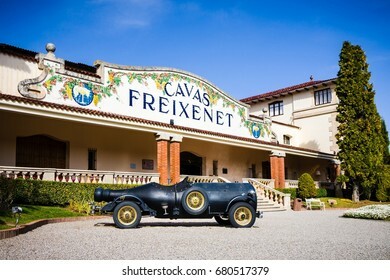 Freixenet is Spanish wine producer. 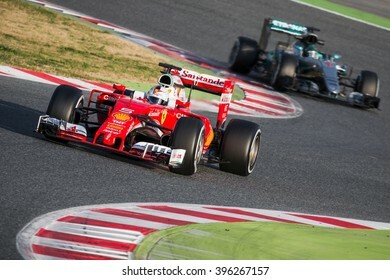 BARCELONA - MARCH 2: Sebastian Vettel of Ferrari F1 Team leads Nico Rosberg of Mercedes AMG F1 Team at Formula One Test Days at Catalunya circuit on March 2, 2016 in Barcelona, Spain. 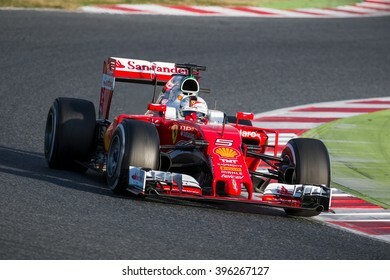 BARCELONA - FEBRUARY 21: Sebastian Vettel of Scuderia Ferrari F1 Team at Formula One Test Days at Catalunya circuit on February 21, 2015 in Barcelona, Spain. 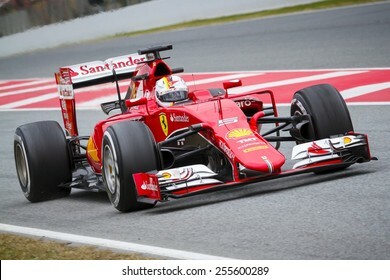 SANT SADURNI - FEBRUARY 29: A car in a shape of wine bottle parked at the entrance to Freixenet headquarters on February 29, 2016, in Sant Sadurni, Spain. 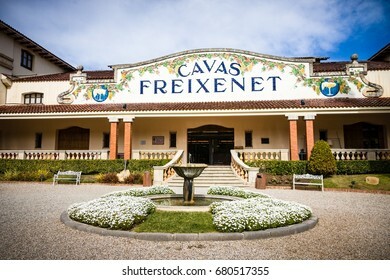 Freixenet is Spanish wine producer. 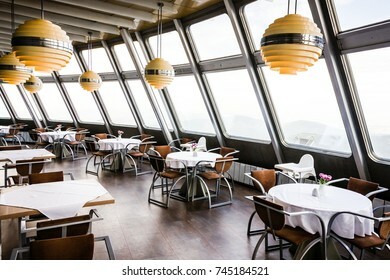 LIBEREC - SEPTEMBER 30: Restaurant tables inside Jested - conic transmitter which servers also as hotel and restaurant on September 30, 2016 in Liberec, Czechia. 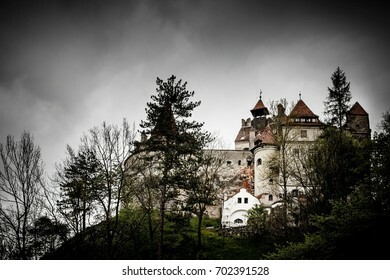 BRAN - MAY 8: Bran Castle on May 8, 2016 in Bran, Romania. 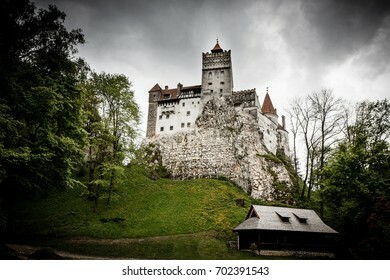 The fortress built by the Teutonic Knights in 1212 is commonly known as Dracula's Castle. 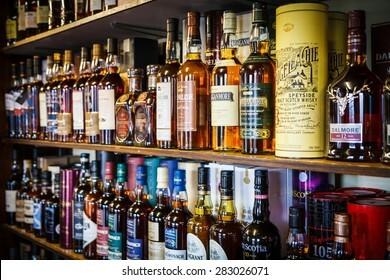 TOMINTOUL, UK - MAY 16: Various bottles of Scotch whisky on the shelf on May 16, 2015 in Tomintoul, UK. 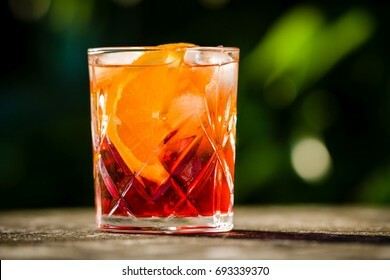 Scotch whisky must be made in a manner specified by law. 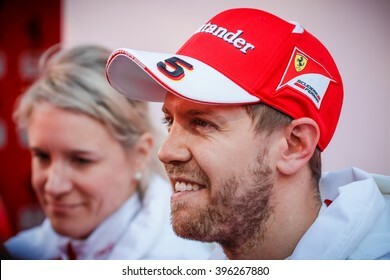 BARCELONA - FEBRUARY 22: Sebastian Vettel of Scuderia Ferrari F1 Team at Formula One Test Days at Catalunya circuit on February 22, 2016 in Barcelona, Spain. 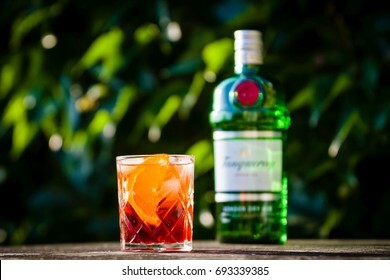 DRAZOVICE - JUNE 24: Bottle of Tanqueray gin and negroni cocktail on June 24, 2016 in Drazovice, Czech Republic. 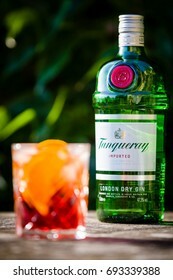 Tanqueray is a brand of gin produced by Diageo plc. 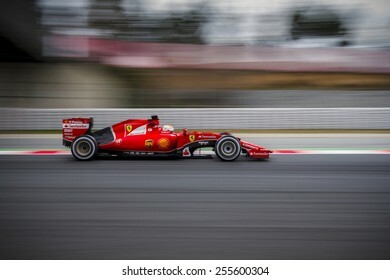 BARCELONA - MARCH 2: Sebastian Vettel of Ferrari F1 Team at Formula One Test Days at Catalunya circuit on March 2, 2016 in Barcelona, Spain. 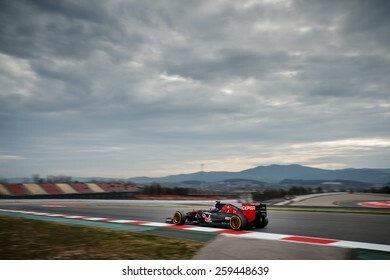 BARCELONA - FEBRUARY 20: Carlos Sainz Jr of Scuderia Toro Rosso F1 team at Formula One Test Days at Catalunya circuit on February 20, 2015 in Barcelona, Spain. 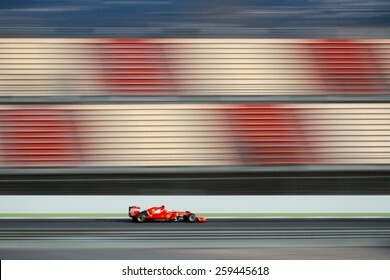 BARCELONA - FEBRUARY 23: Esteban Gutierrez of Haas F1 Team at Formula One Test Days at Catalunya circuit on February 23, 2016 in Barcelona, Spain. 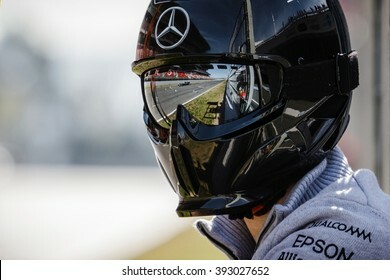 BARCELONA - MARCH 1: Lewis Hamilton of Mercedes AMG F1 Team reflected in the googles of team's mechanic at Formula One Test Days at Catalunya circuit on March 1, 2016 in Barcelona, Spain. 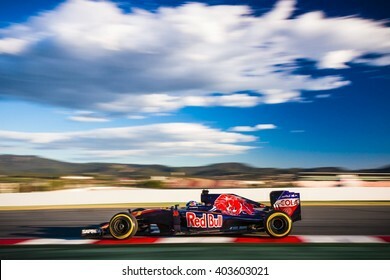 BARCELONA - MARCH 3: Max Verstappen of Toro Rosso F1 Team at Formula One Test Days at Catalunya circuit on March 3, 2016 in Barcelona, Spain. 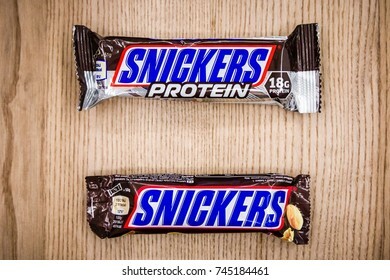 BRNO - AUGUST 23: Comparison of classic Snickers and protein Snickers bars on August 23, 2017 in Brno, Czechia. 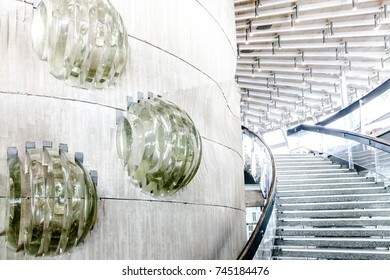 LIBEREC - SEPTEMBER 30: Decorations inside Jested - conic transmitter which servers also as hotel and restaurant on September 30, 2016 in Liberec, Czechia. 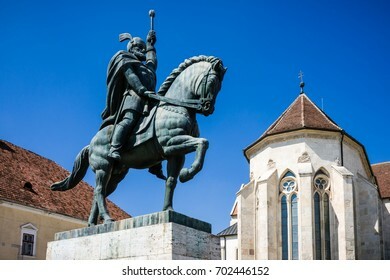 ALBA IULIA - MAY 10: Statue of Michael the Brave on May 10, 2016 in Alba Iulia, Romania. 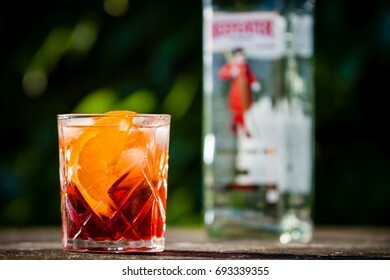 He is considered one of Romania's greatest national heroes and author of Romanian unity. 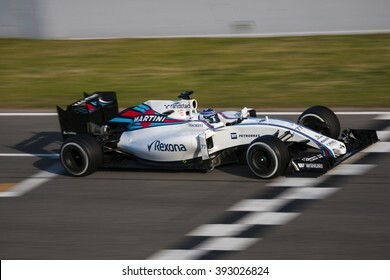 BARCELONA - FEBRUARY 24: Felipe Massa of Williams F1 Team at Formula One Test Days at Catalunya circuit on February 24, 2016 in Barcelona, Spain. 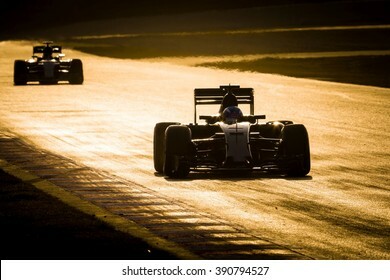 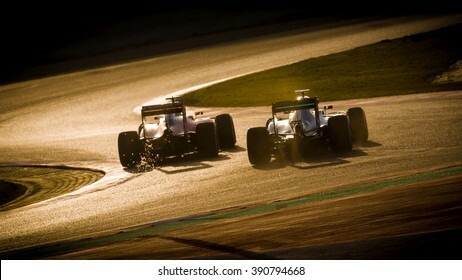 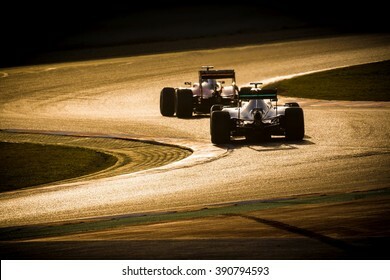 BARCELONA - FEBRUARY 23: Max Verstappen of Toro Rosso F1 Team leads Nico Rosberg of Mercedes AMG F1 Team at Formula One Test Days at Catalunya circuit on February 23, 2016 in Barcelona, Spain. 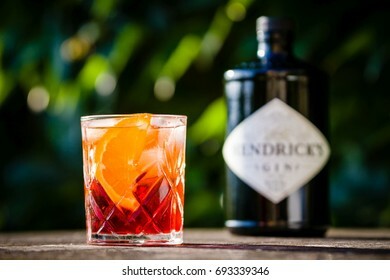 DRAZOVICE - JUNE 24: Bottle of Broker's gin and negroni cocktail on June 24, 2016 in Drazovice, Czech Republic. 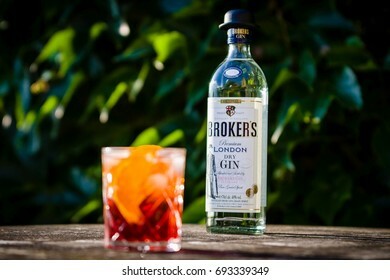 The distillery where Broker's Gin is made is over 200 years old. 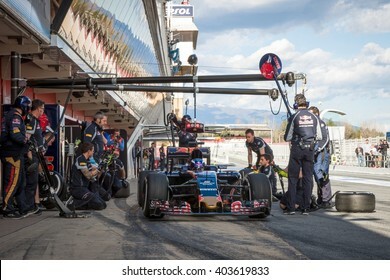 BARCELONA - MARCH 3: Max Verstappen of Toro Rosso F1 Team makes a pit stop at Formula One Test Days at Catalunya circuit on March 3, 2016 in Barcelona, Spain. 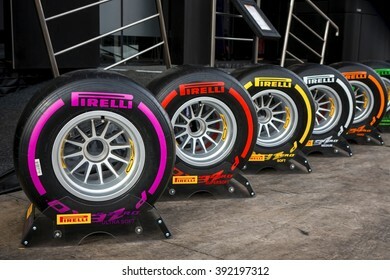 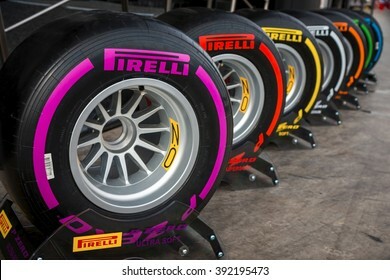 BARCELONA - FEBRUARY 24: Range of Pirelli tyres for 2016 Formula One season at Formula One Test Days at Catalunya circuit on February 24, 2016 in Barcelona, Spain. 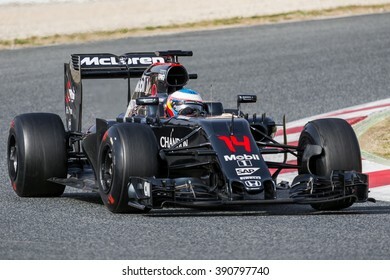 BARCELONA - FEBRUARY 23: Fernando Alonso of McLaren-Honda F1 Team at Formula One Test Days at Catalunya circuit on February 23, 2016 in Barcelona, Spain. 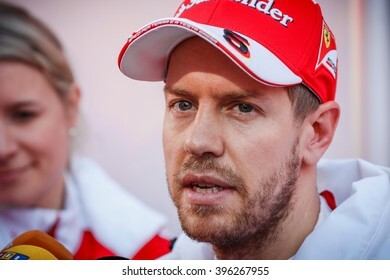 BARCELONA - FEBRUARY 23: Sebastian Vettel (L) of Scuderia Ferrari and Nico Rosberg (R) of Mercedes AMG F1 Team at Formula One Test Days at Catalunya circuit on February 23, 2016 in Barcelona, Spain. 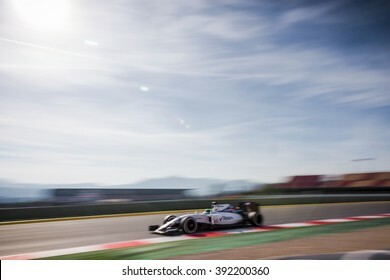 BARCELONA - MARCH 3: Felipe Massa of Williams F1 Team at Formula One Test Days at Catalunya circuit on March 3, 2016 in Barcelona, Spain. 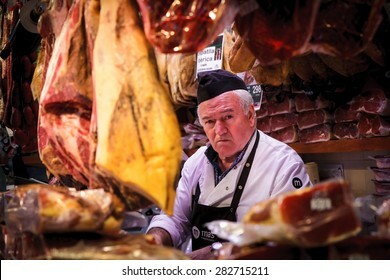 BARCELONA - FEBRUARY 24: Butcher at Mercat de la Boqueria on February 24, 2015 in Barcelona, Spain. 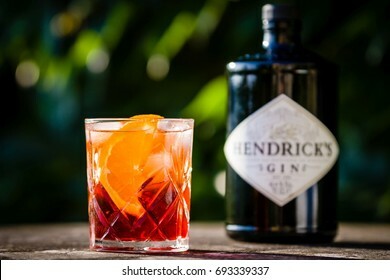 This market has been known since 1217. 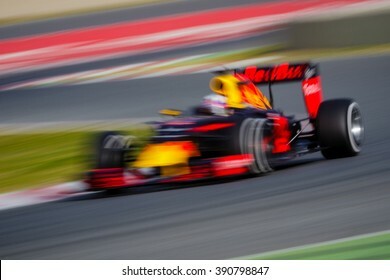 BARCELONA - FEBRUARY 22: Daniel Ricciardo of Red Bull Racing F1 Team at Formula One Test Days at Catalunya circuit on February 22, 2016 in Barcelona, Spain. 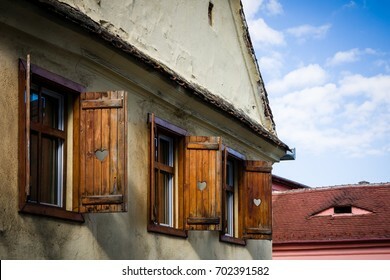 SIBIU - MAY 10: Vintage house with window shutters on May 10, 2016 in Sibiu, Romania. 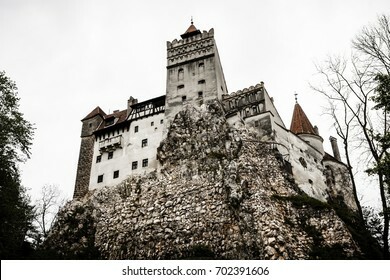 Sibiu is one of the most important cultural centres of Romania. 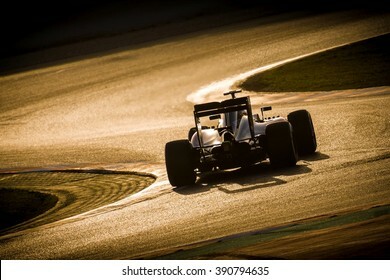 BARCELONA - FEBRUARY 20: Formula One car on race track at Formula One Test Days at Catalunya circuit on February 20, 2015 in Barcelona, Spain. 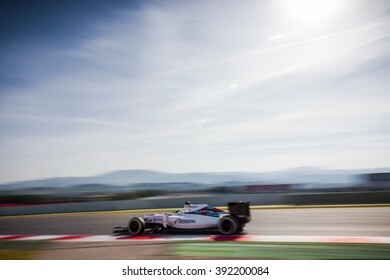 BARCELONA - MARCH 1: Valtteri Bottas of Williams F1 Team at Formula One Test Days at Catalunya circuit on March 1, 2016 in Barcelona, Spain. 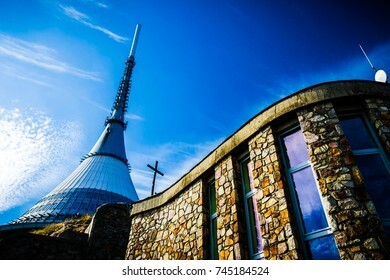 LIBEREC - SEPTEMBER 30: Conic transmitter Jested which servers also as hotel and restaurant on September 30, 2016 in Liberec, Czechia. 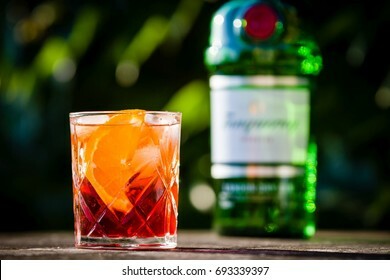 Designed by architect Karel Hubacek, built between 1966 and 1973. 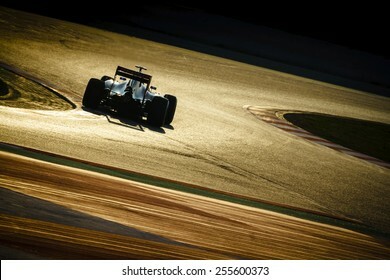 BARCELONA - MARCH 3: Nico Rosberg of Mercedes F1 Team at Formula One Test Days at Catalunya circuit on March 3, 2016 in Barcelona, Spain. 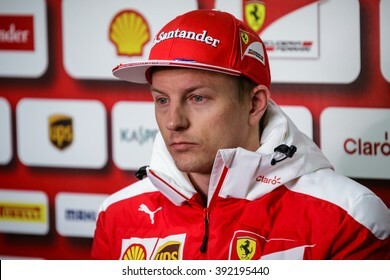 BARCELONA - FEBRUARY 24: Kimi Raikkonen of Ferrari F1 Team at Formula One Test Days at Catalunya circuit on February 24, 2016 in Barcelona, Spain. 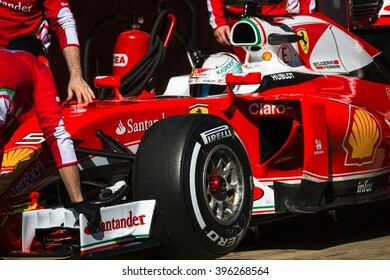 BARCELONA - MARCH 1: Sebastian Vettel of Scuderia Ferrari F1 team at Formula One Test Days at Catalunya circuit on March 1, 2015 in Barcelona, Spain. 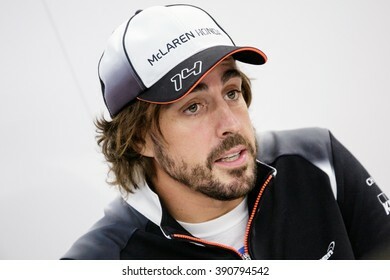 BARCELONA - MARCH 3: Fernando Alonso of McLaren-Honda F1 Team at Formula One Test Days at Catalunya circuit on March 3, 2016 in Barcelona, Spain. 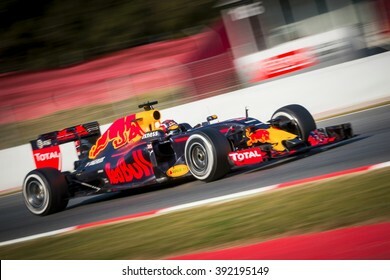 BARCELONA - FEBRUARY 24: Daniil Kvyat of Red Bull Racing F1 Team at Formula One Test Days at Catalunya circuit on February 24, 2016 in Barcelona, Spain. 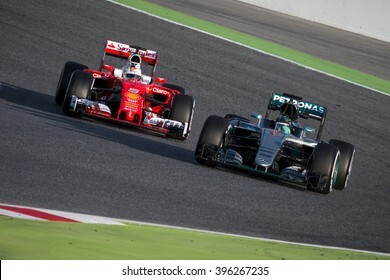 BARCELONA - MARCH 2: Nico Rosberg of Mercedes AMG F1 Team leads Sebastian Vettel of Ferrari F1 Team at Formula One Test Days at Catalunya circuit on March 2, 2016 in Barcelona, Spain. 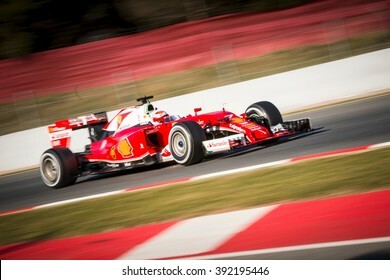 BARCELONA - FEBRUARY 26: Kimi Raikkonen of Scuderia Ferrari F1 team at Formula One Test Days at Catalunya circuit on February 26, 2015 in Barcelona, Spain. 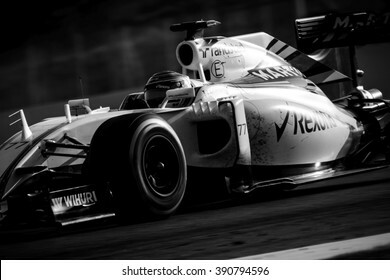 NEW YORK CITY - JUNE 17, 2014: Lower Manhattan skyline in B&W. 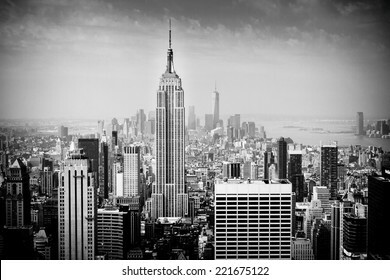 Manhattan has been described as the economic and cultural center of the United States. 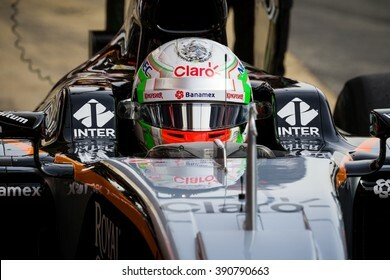 BARCELONA - FEBRUARY 22: Alfonso Celis of Force India F1 Team at Formula One Test Days at Catalunya circuit on February 22, 2016 in Barcelona, Spain. 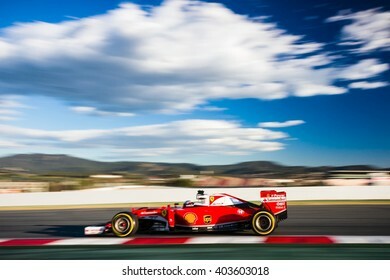 BARCELONA - MARCH 3: Kimi Raikkonen of Ferrari F1 Team at Formula One Test Days at Catalunya circuit on March 3, 2016 in Barcelona, Spain. 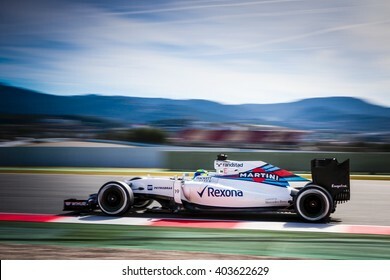 BARCELONA - FEBRUARY 20: Felipe Massa of Williams Martini Racing F1 team at Formula One Test Days at Catalunya circuit on February 20, 2015 in Barcelona, Spain. 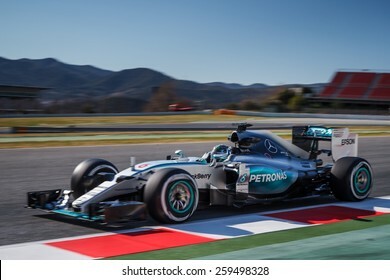 BARCELONA - FEBRUARY 22: Nico Rosberg of Mercedes AMG Petronas F1 team at Formula One Test Days at Catalunya circuit on February 22, 2015 in Barcelona, Spain. 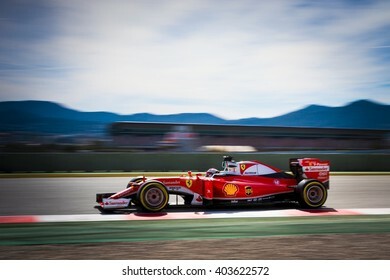 SIBIU - MAY 10: Piata Mare on May 10, 2016 in Sibiu, Romania. 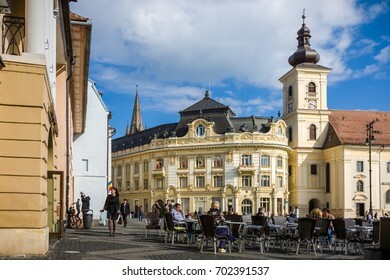 Sibiu is one of the most important cultural centres of Romania and was designated the European Capital of Culture for the year 2007. 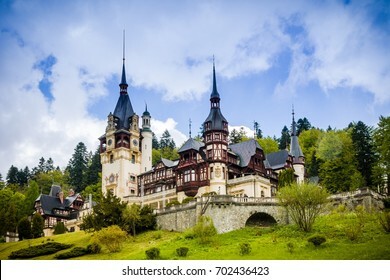 SINAIA - MAY 8: Peles Castle on May 8, 2016 in Sinaia, Romania. 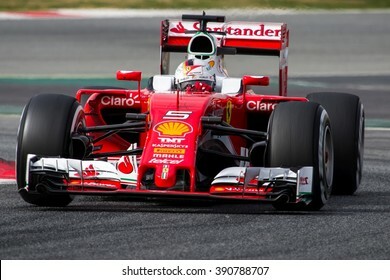 It is a grand palatial alpine villa with over 170 rooms combining different features of classic European styles, built for King Carol I.
VISEU DE SUS - MAY 7: Driver of wood-burning steam train on May 7, 2016 in Viseu de Sus, Romania. 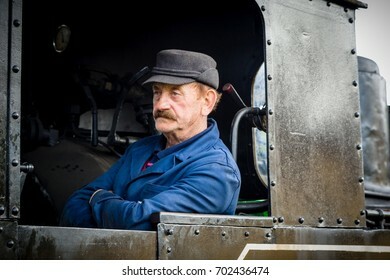 Forestry railway was used for transporting timber, now transport tourists. 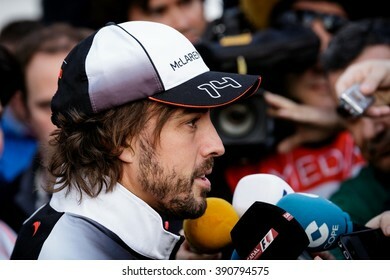 BARCELONA - FEBRUARY 23: Fernando Alonso of McLaren-Honda F1 Team talks to the media at Formula One Test Days at Catalunya circuit on February 23, 2016 in Barcelona, Spain. 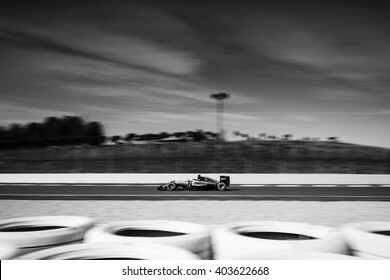 BARCELONA - FEBRUARY 23: Valtteri Bottas of Williams F1 Team at Formula One Test Days at Catalunya circuit on February 23, 2016 in Barcelona, Spain. 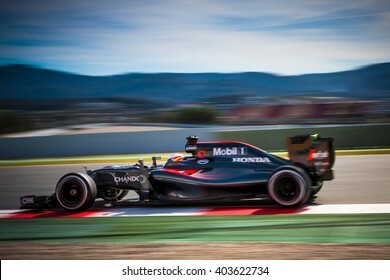 BARCELONA - FEBRUARY 19: Jenson Button of McLaren Honda F1 team at Formula One Test Days at Catalunya circuit on February 19, 2015 in Barcelona, Spain. 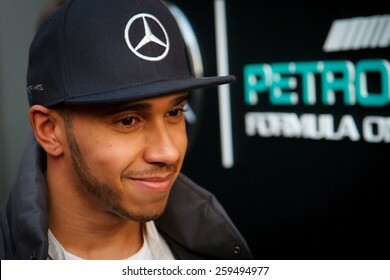 BARCELONA - FEBRUARY 28: Lewis Hamilton of Mercedes AMG Petronas F1 team at Formula One Test Days at Catalunya circuit on February 28, 2015 in Barcelona, Spain. 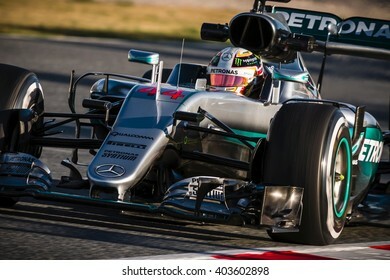 BARCELONA - MARCH 3: Lewis Hamilton of Mercedes F1 Team at Formula One Test Days at Catalunya circuit on March 3, 2016 in Barcelona, Spain. 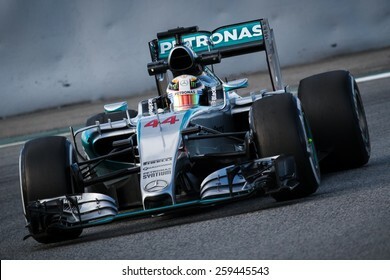 BARCELONA - FEBRUARY 26: Lewis Hamilton of Mercedes AMG Petronas F1 team at Formula One Test Days at Catalunya circuit on February 26, 2015 in Barcelona, Spain. 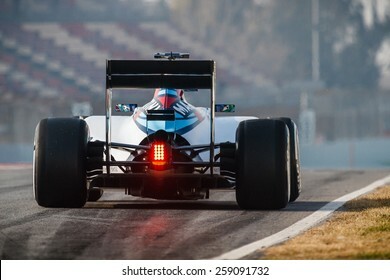 BARCELONA - MARCH 1: Max Verstappen of Scuderia Toro Rosso F1 team at Formula One Test Days at Catalunya circuit on March 1, 2015 in Barcelona, Spain. 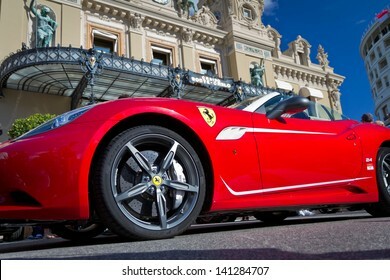 MONTE CARLO - MAY 24: Ferrari parked in front of casino on May 24, 2013 in Monte Carlo. 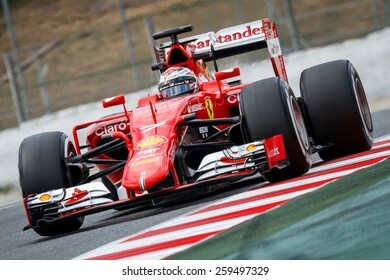 Monaco's climate and gambling facilities have made it recreation center especially for rich and famous. 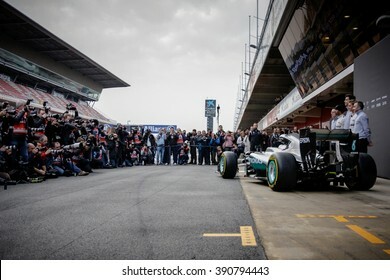 BARCELONA - FEBRUARY 22: Mercedes car launch at Formula One Test Days at Catalunya circuit on February 22, 2016 in Barcelona, Spain. 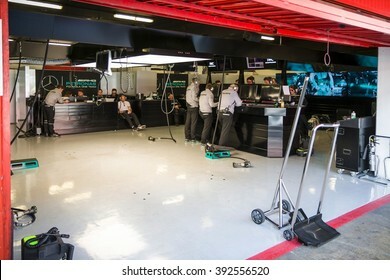 BARCELONA - FEBRUARY 25: Mercedes F1 Team garage at Formula One Test Days at Catalunya circuit on February 25, 2016 in Barcelona, Spain. 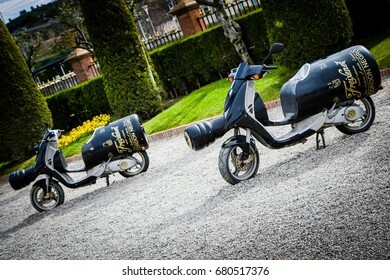 SANT SADURNI - FEBRUARY 29: Scooters in a shape of wine bottle parked at the entrance to Freixenet headquarters on February 29, 2016 in Sant Sadurni, Spain. 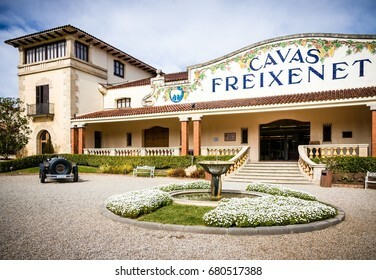 Freixenet is Spanish wine producer. 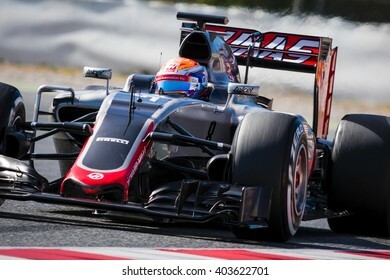 BARCELONA - MARCH 3: Romain Grosjean of Haas F1 Team at Formula One Test Days at Catalunya circuit on March 3, 2016 in Barcelona, Spain.